Kingaroy is looking tired and shabby and could really do with a facelift, South Burnett Deputy Mayor Keith Campbell told 45 members who attended the Kingaroy Chamber Of Commerce and Industry’s Annual General Meeting on Tuesday night. Cr Campbell said he thought the solution was a streetscaping project similar to Nanango’s that would upgrade the CBD and the town’s three highway entrances. However, because of the size of the CBD, this would be a costly project to undertake and wasn’t likely to happen until the economy improved. “When it does happen, though, I hope the KCCI will play a big role in the process,” he said. 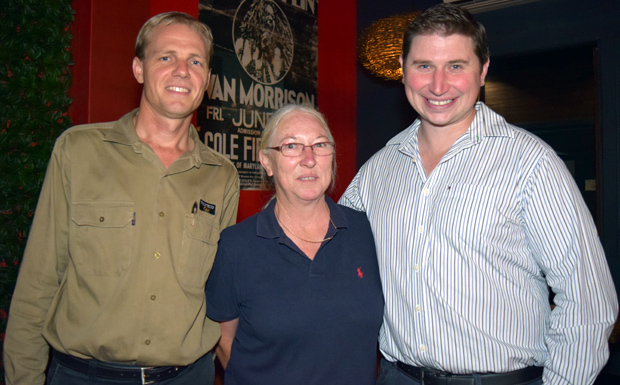 Cr Campbell, who compered the meeting at the Commercial Hotel, also talked about the formation of a new agricultural sub-committee on economic development group South Burnett Directions. He said the South Burnett was an agricultural area and it was hard to overlook that when local farmers did well, so did the local economy. But he believed the biggest constraint on production that many of the region’s farmers faced was access to sufficient water. One of the new sub-committee’s objectives was to look at possible ways water could be made more readily available to agricultural producers, Cr Campbell said. The South Burnett wasn’t alone in wanting better water supplies. “The North Burnett, Bundaberg, Fraser Coast and other Wide Bay shires would also like to get more water so their own agricultural producers can do better,” Cr Campbell said. South Burnett councillors will be meeting next Thursday to examine a report on the future of the South Burnett Private Hospital prepared by consultants Ernst and Young, Cr Campbell said. After this, the report will be discussed at the South Burnett Regional Council’s next meeting on December 9. Cr Campbell said he believed the majority of people in the community wanted to see the hospital continue because it offered local access to specialist services, saving many people long and often inconvenient trips to Brisbane or Toowoomba. In response to a question about whether local medical practitioners continued to support the hospital, Cr Campbell said that as part of the process of deciding the facility’s fate he would like to see them given the opportunity to restate their support but he was reasonably confident the support they had previously expressed still remained strong. 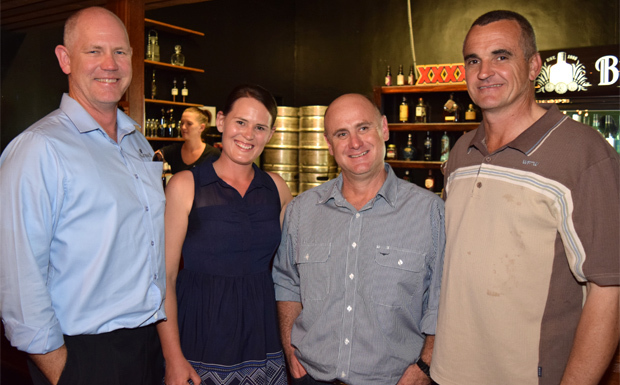 The Kingaroy Christmas Carnival has been saved thanks to the generosity of Kingaroy’s business community. Cr Campbell said in recent years, the Carnival had been organised by the South Burnett Young Leaders (SBYL) group. However, the group’s numbers had dwindled over time as members grew up and took on more responsibilities. Earlier this year SBYL members expressed concern that with just $1000 in the bank and few volunteers remaining, the event might fold. Cr Campbell said he spearheaded a fundraising drive and the group now had close to $20,000 in the bank which would be enough to fund this year’s event. Next year, a new committee – Kingaroy Christmas Carnival Inc – will be formed to take over running the event, and membership will be more broadly based. Cr Campbell was hopeful this new arrangement would ensure the popular annual community get-together would continue into the future. The Kingaroy Chamber Of Commerce and Industry turned a profit of $2380 in the last year, president Tim Harris told the meeting. It did so despite a “fairly tough year” for Kingaroy businesses. He felt the outlook for the year ahead was likely to be better, and was heartened that a number of formerly empty shops were now being tenanted by new businesses which had moved into the area. Mr Harris said he also appreciated the good attendances at the Chamber’s six-weekly Meet’n’Greets, but thought it would be nice to have more businesses host them so members could get better acquainted with each other’s services. The Chamber would also like more input from members on issues that concerned them so it could take them up on their behalf. To do this, he proposed the Chamber expand its committee in 2015-16 so the Chamber’s executive could get views from a wider cross-section of industries. The KCCI elected its executive officers and executive committee for 2015-16 at the meeting. Tim Harris (Commercial Hotel) was re-elected President; Josh Gadischke (Proteco Oils) was re-elected Vice-President; and Paula Greenwood (Paula Greenwood Mobile Bookkeeping) was re-elected Secretary-Treasurer. Nina Temperton (South Burnett CTC), Chrys McDuffie (Downer EDI Mining), Trudy McDonald (BUSHKids), Todd Fiedler (Fiedler Brothers Plumbing) and Karen Dennis (Kingaroy Shoppingworld/McConaghy Retail) were all re-elected to the KCCI’s executive committee. They will be joined in the year ahead by new appointees Karen Miller (Sarina Russo Job Access), Tonia Gilbert (Jobmatch Employment) and Rob Fitz-Herbert (TAFE Queensland South West).